The Michelin Guide has long been regarded as the world’s foremost authority of culinary merit. To win a Michelin one-star is a cause for celebration and to win a Michelin three-star is next to impossible. Most Michelin-starred restaurants charges hefty prices thanks to the prestige the Michelin guide has bestowed upon them. 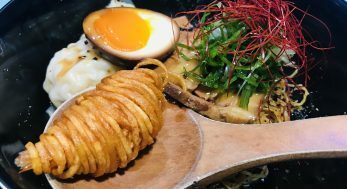 I may not have the money to try out the Michelin three-starred restaurants, I am going to try out the Michelin Bib Gourmand food establishments. Bib Gourmand are awarded to “good quality, good value restaurants”. 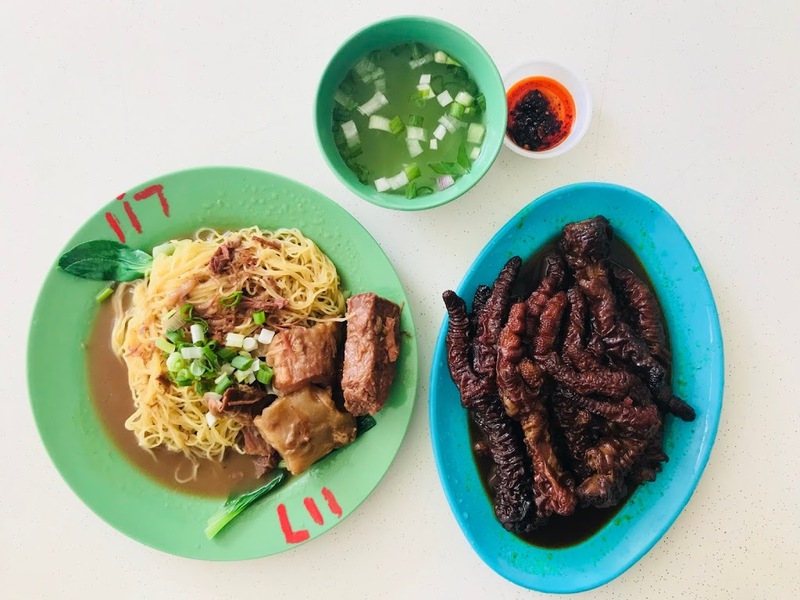 Most of the Bib Gourmand award winners in Singapore are hawkers and small restaurants which are not too expensive. 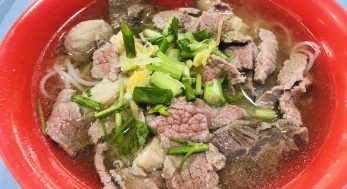 I am going to embark on a Michelin Bib Gourmand eating spree, giving my two-cents worth on these “famed” restaurants and hawkers. 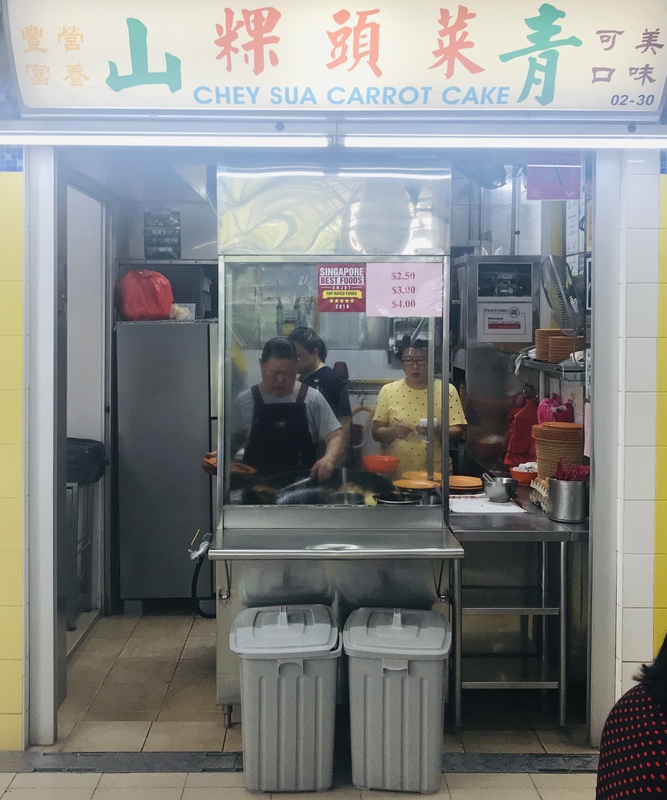 Chey Sua Carrot Cake’s obscure location at Toa Payoh Lorong 1 Food Centre has not deterred foodies from all around Singapore from flocking to it. After it was listed in Singapore Michelin Bib Gourmand 2016 and 2017, the queue just got longer. When I arrived on a weekday afternoon, I thought luck was on my side when I saw there was no queue in front of Chey Sua Carrot Cake. The stall owner’s “must wait for half an hour ah!” shattered my fantasy. As I glanced around, I realized that every table within a one-mile radius is waiting for their Chey Sua Carrot Cake. Chey Sua Carrot Cake only sells “white” carrot cake, “black” carrot cake with sweet dark sauce is not available. The carrot cake is available in 3 sizes – $2.50, $3 and $4. Two sisters, Grace and Shirley, man the stall. Chey Sua Carrot Cake is one of the few carrot cake stalls that makes their own carrot cake. The carrot cake is made with white radish and flour. The mixture is first steamed and then cut into cubes. These cubes are then fried with eggs and preserved radish. It is a laborious process which makes a plate of their carrot cake all the more meaningful. 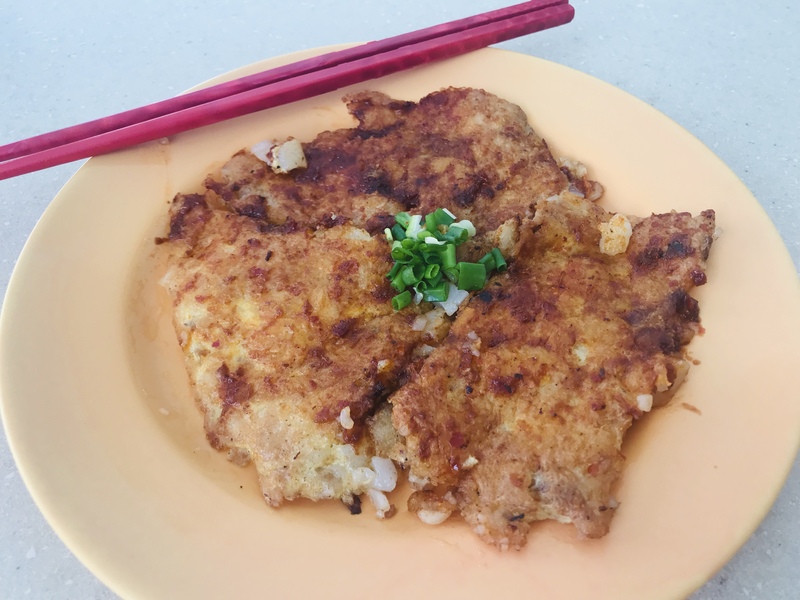 Chey Sua’s carrot cake are fried in rectangular blocks. The outside is crispy brown while the inside is soft and moist. Factory-made carrot cake tend to have a firmer texture.